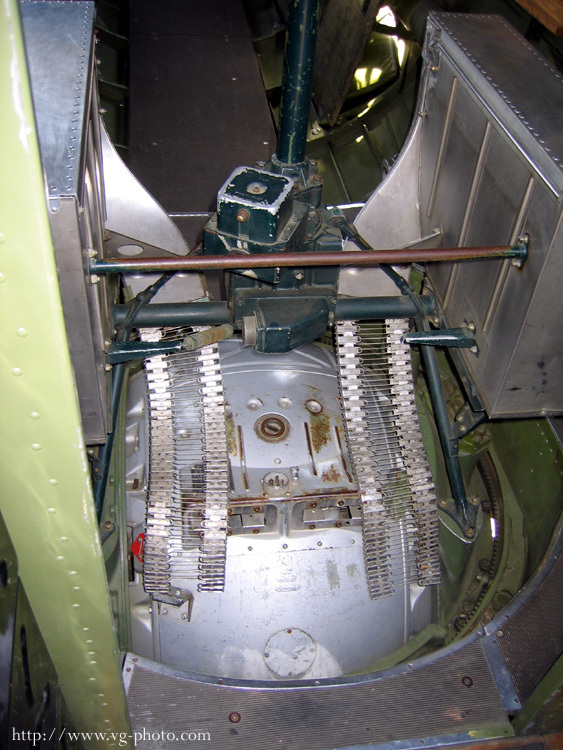 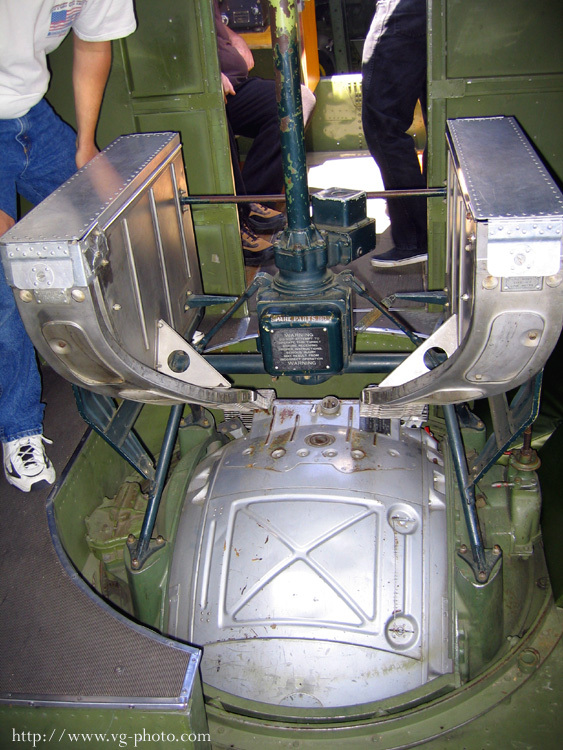 These next three shots show a ball turret with ammunition feed chutes. 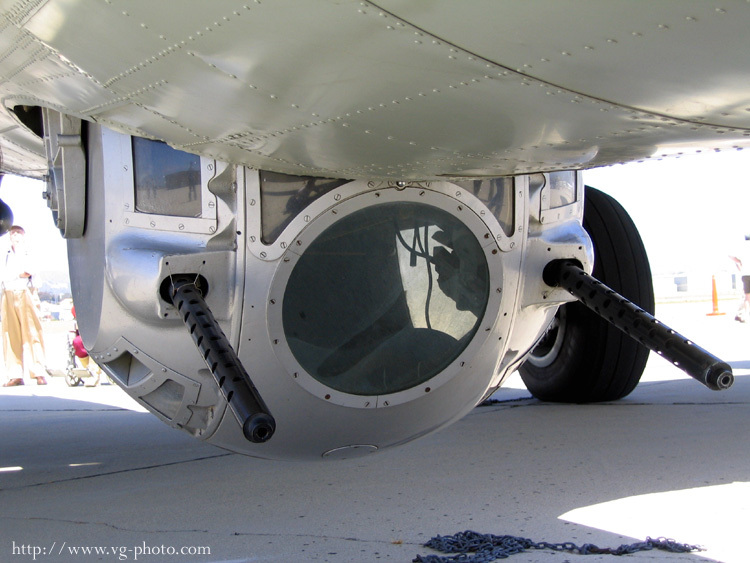 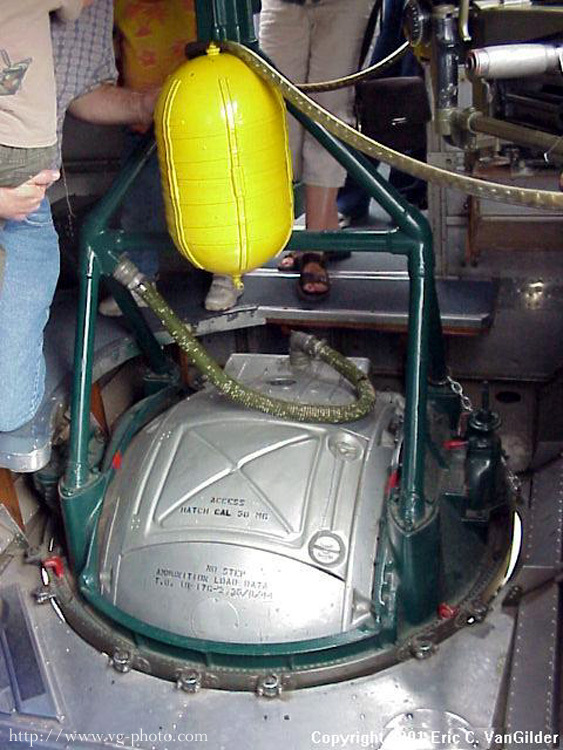 Here is a ball turret with the oxygen bottle above. 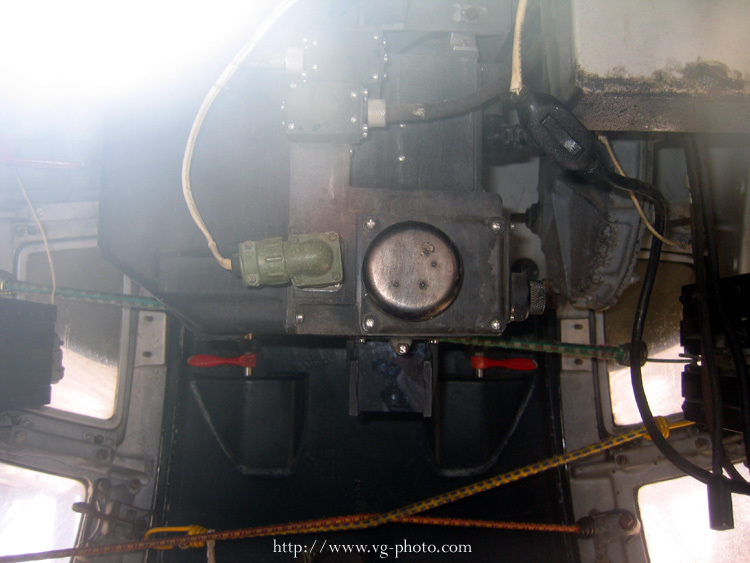 I would assume that the lat war models had both the ammunition feed chutes and the oxygen system in place. 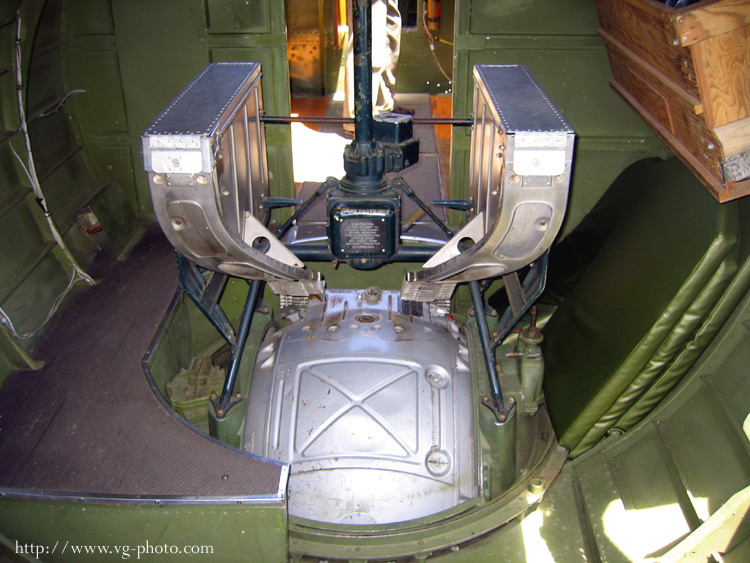 Because of the cramped quarters of the ball turet, it is normally closed to tours. 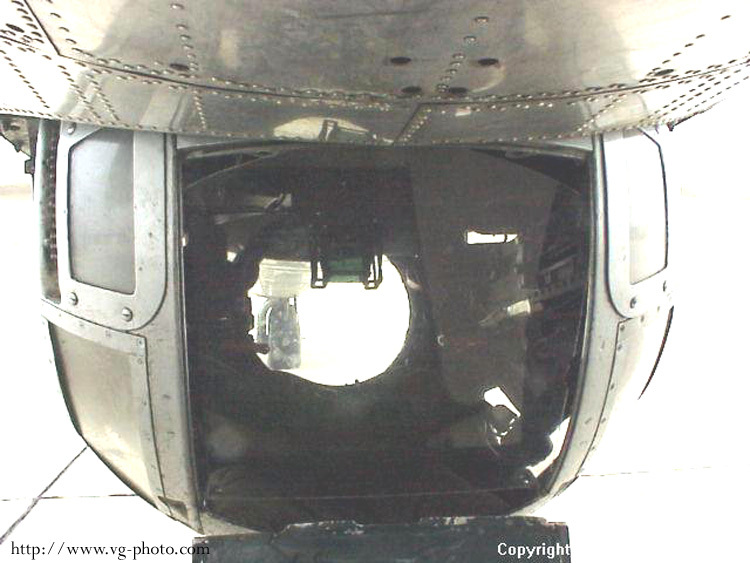 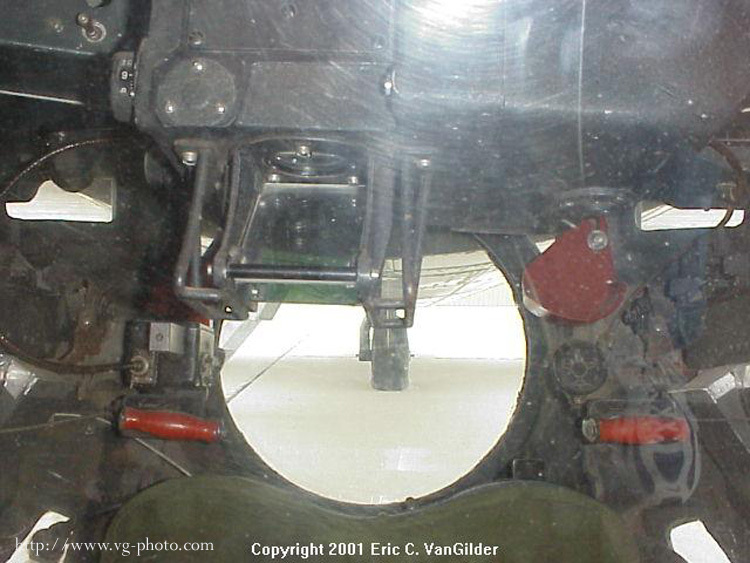 These shots are taken through the window of the ball turret from the outside.